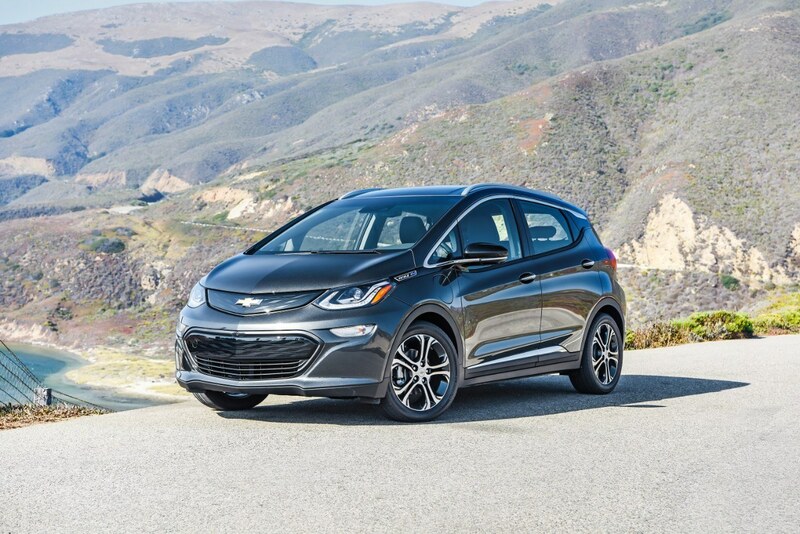 Wallace Chevrolet > Android Auto > Chevy Bolt Price – Official Canadian Pricing Announced! 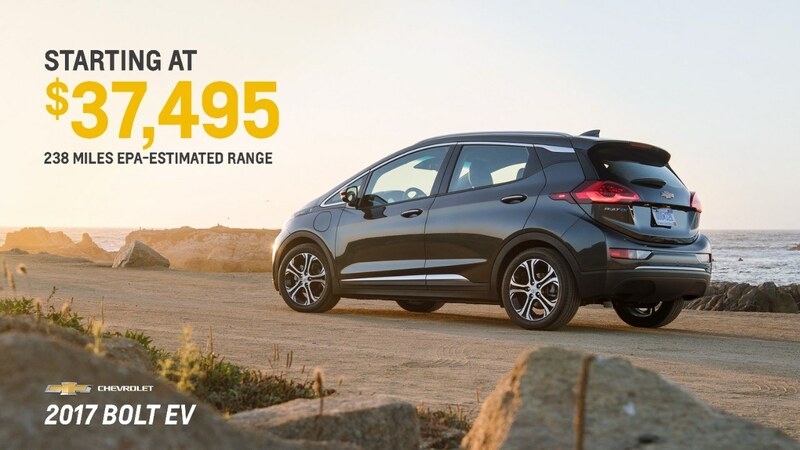 Chevy Bolt Price – Official Canadian Pricing Announced! 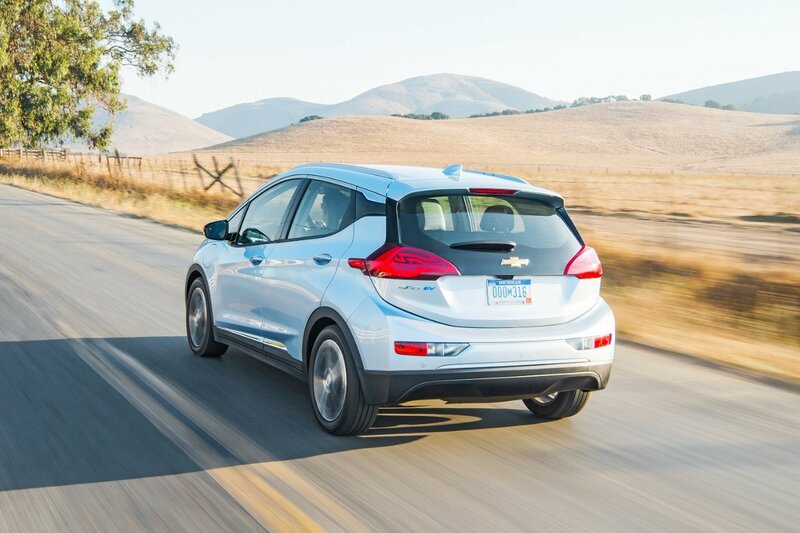 Today, the Chevy Bolt price is announced for Canada! Once the pre-tax equivalent of the expected $12,839 Provincial Electrical Vehicle Inventive is factored in the MSRP of the vehicle the price for the base model can be as low as $31,434 (plus freight)! For full details on the incentive programs in Ontario and other provinces click the links below. And there’s even more good news for Canadian buyers! Chevrolet Canada announced the DC fast charging provisions and tire inflator kit are provided as part of the standard pricing. With the DC fast charger, drivers can top up their vehicles with 144kms of charge in 30 minutes! And here’s the best part…even the base model Bolt LT comes loaded with all the features you want like a 10.2-inch touchscreen with Apple CarPlay & Android Auto, rear view camera, self-sealing tires, Regen on Demand steering wheel paddles and more! Pick the top trim Premier and you’ll get all the LT features plus leather-appointed seats, heated front and rear seats, surround camera and rear camera mirror. The Bolt EV will arrive in dealerships in Canada in early 2017. Stay tuned for more information as the date draws closer!